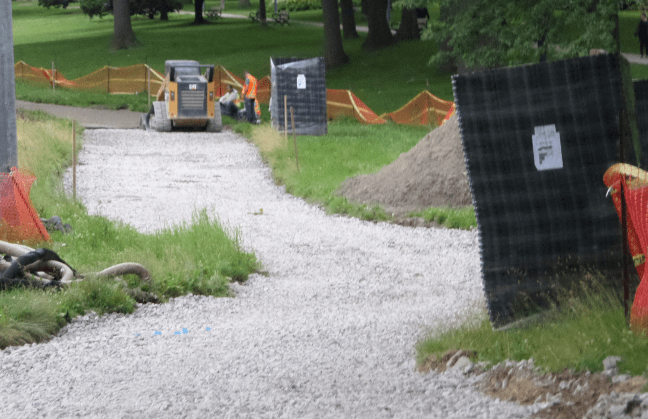 Kew Gardens hosts baseball games, summer camps, concerts, picnics and so much more. 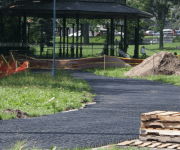 It is a very busy area providing a welcoming green space and easy access to some of the most popular beaches enjoyed by all. 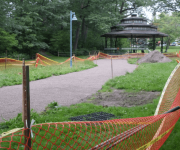 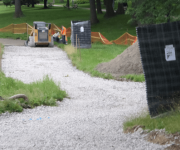 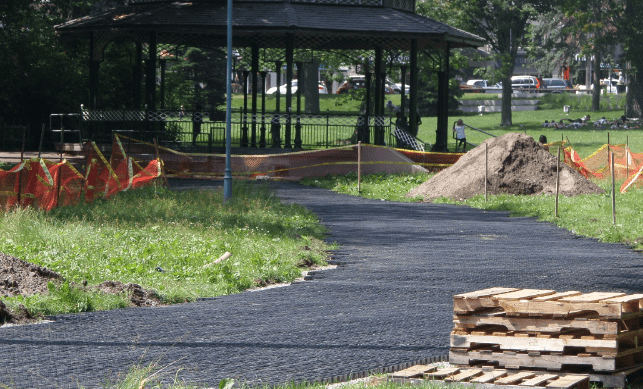 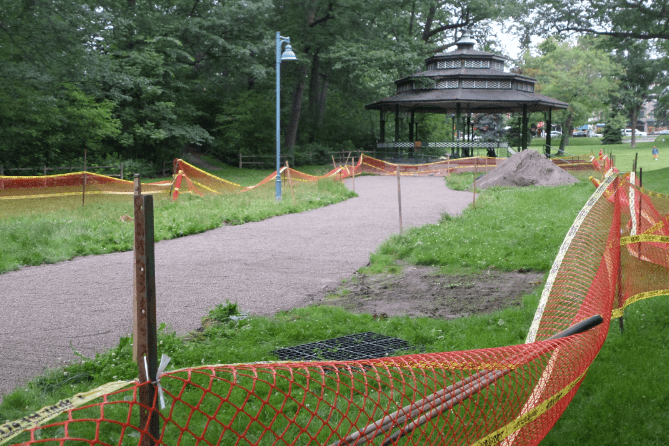 The community is motivated to keep their neighbourhood green and eco-friendly so it is only appropriate that Ecoraster was chosen in lieu of asphalt for a heavy-duty access lane in the park. 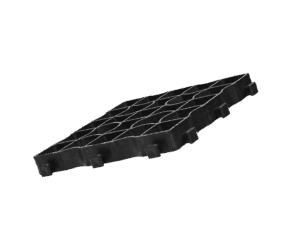 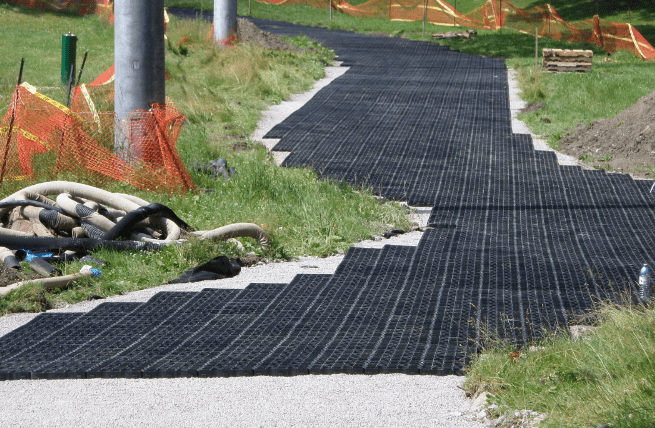 Ecoraster E50 was installed on top of a porous base which will capture rainfall, holding it below the surface until it can either percolate into the ground or evaporate. 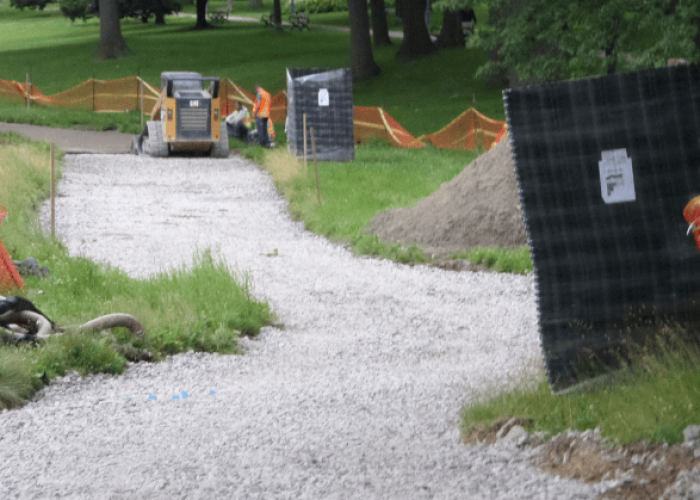 The installation of Ecoraster has helped to provide additional drainage to control the wet environment often found near the lake. 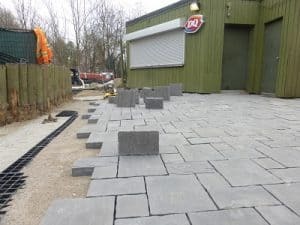 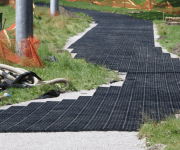 The Ecoraster E50 access lane can support heavy maintenance vehicles, ensuring the surface remains level, stable, safe and fully accessible for the continued enjoyment of the community.